TURN HEADS ON THE COURT - Sporty and stylish, this irresistible pink and blue outfit will have you looking as good as your forehand. Perfect for 18" dolls hoping to become the next Serena! Please note: doll not included. INCLUDES 5 EASY TO USE PIECES - Easy to take on and off, the Our Generation Ace'd It! 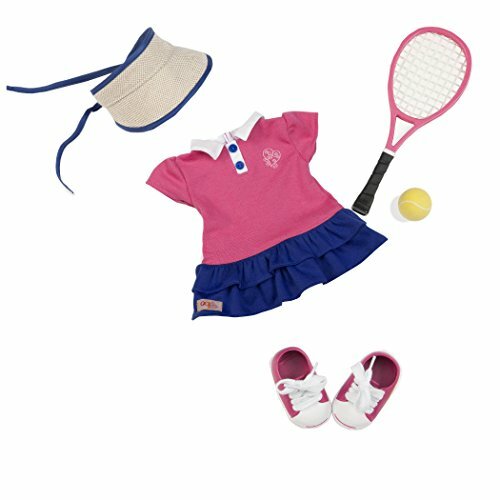 Tennis Outfit set includes 1 collared pink tennis dress with a blue pleated skirt, 1 matching visor, 1 pair of pink sneakers, and 1 perfectly sized tennis racquet and ball set. TRUSTED QUALITY - All our dolls, clothes, and accessories are made with safe, carefully-chosen, high-quality material. 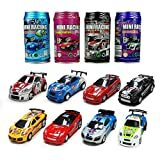 They're easy to clean and maintain and are shipped in eco-friendly packaging. They can be collected, cherished, and also recycled the old fashioned way (by being passed on). For more information see our website. OUR GENERATION MISSION - We're dedicated to a new, multifaceted generation of girls who are playing hockey, getting involved in charities, dressing fashion-forward, and still finding time to, you know, be kids! Our Generation is much bigger than an 18" doll. It's about an extraordinary generation of girls growing up, learning, playing, and changing the world together. 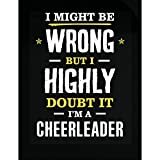 FULLY COMPATIBLE WITH MOST 18" DOLLS - All Our Generation dolls, clothes, horses, and accessories are fully compatible with most 18" dolls, including American Girl dolls and accessories. These products can be mixed and matched interchangeably without noticeable difference. Sporty and stylish, the Our Generation Ace'd It! Tennis Outfit with irresistible pink and blue tennis skirt will have you looking as good as your forehand. Perfect for 18" dolls hoping to become the next Serena! All Our Generation dolls, clothes, and accessories are made with safe, carefully-chosen, high-quality material. They can be collected and saved and recycled the old fashioned way (by being passed on), are shipped in eco-friendly packaging, and are easy to clean and maintain. At Our Generation we're dedicated to a new, multifaceted generation of girls who are playing hockey, getting involved in charities, dressing fashion-forward, and still finding time to, you know, be kids! Our Generation is much bigger than an 18" doll. It's about girls growing up together and creating the narrative of an extraordinary generation. Every time an Our Generation doll or accessory is purchased we donate 10 cents to the Free The Children's Power of a Girl Initiative, which is dedicated to addressing the unique challenges young girls face in accessing education, staying healthy, and overcoming poverty in developing countries. This outfit and accessory set is fully compatible with most 18" dolls, including American Girl dolls and accessories. Includes 1 collared pink tennis dress with a blue pleated skirt, 1 matching visor, 1 pair of pink sneakers, and 1 perfectly sized tennis racquet and ball set. Please note: doll sold separately.